Egyptian Queen Adult's Costume For ..
Egyptian Queen Adult's Costume For Halloween Costume Includes: Dress, Belt, Headpiec..
Spider Girl Children's Costume For ..
Spider Girl Children's Costume For Kids Halloween Costume Includes: Dress, Headpiece..
Clown Children's Costume For Kids H..
Clown Children's Costume For Kids Halloween Costume Includes: Dress, Headpiece ..
Super Hero Batman Children's Costum..
Super Hero Batman Chikdren's Costume For Kids Halloween Costume Includes:Muscle jump.. Native American Indian Man Wig .. Native American Indian Man Wig For best results, take wig out of package and f..
Witch Children's Costume For Kids H..
Witch Children's Costume For Kids Halloween Costume Includes: Hat, dress, belt ..
Demon Adult's Costume For Hallowee..
Demon Adult's Costume For Halloween Costume Includes: Robe, belt, mask ..
Vampire Children's Costume For Kids..
Vampire Children's Costume For Kids Halloween Costume Includes: jacket with cape, ve.. Native American Indian Girl Wig wit.. Native American Indian Girl Wig with Braids For best results, take wig out of packag..
Egyptian King Adult's Costume For ..
Egyptian King Adult's Costume For Halloween Costume Includes: Robe, Headpiece,..
Angel Children's Costume For Kids H..
Angel Children's Costume For Kids Halloween Costume Includes: Dress with cape, crown..
King Children's Costume For Kids Ha..
King Children's Costume For Kids Halloween Costume Includes: Hat, dress, belt ..
Super Hero Superman Children's Cost..
Super Hero Superman Children's Costume For Kids Halloween Costume Includes: muscle j..
Vampire Adult's Costume For Hallow..
Vampire Adult's Costume For Halloween Costume Includes:Cape, shirt with dicky,..
Pharaoh Children's Costume For Kids..
Pharaoh Children's Costume For Kids Halloween Costume Includes:Rpbe, hat, collar, be..
Musketter Boy Children's Costume Fo..
Musketter Boy Children's Costume For Kids Halloween Costume Includes:Hat, shirt, pan.. Snow Girl Children's Costume For Ki.. 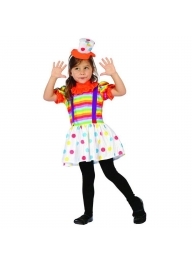 Snow Girl Children's Costume For Kids Halloween Costume Includes:Dress, headpiece, b.. Soldier Children's Costume For Kids.. Soldier Children's Costume For Kids Halloween Costume Includes:Robe, hat, collar, be..
Navy Children's Costume For Kids Ha..
Navy Children's Costume For Kids Halloween Costume Includes: Shirt, Pants, Belt ..
Police Children's Costume For Kids ..
Police Children's Costume For Kids Halloween Costume Includes: Shirt with attached b..
Hello Kitty Children's Costume For ..
Hello Kitty Children's Costume For Kids Halloween Costume Includes: Mask, Robe ..
Police Children's Costume For Kids Halloween Costume Includes: jumpsuit, belt, hat ..